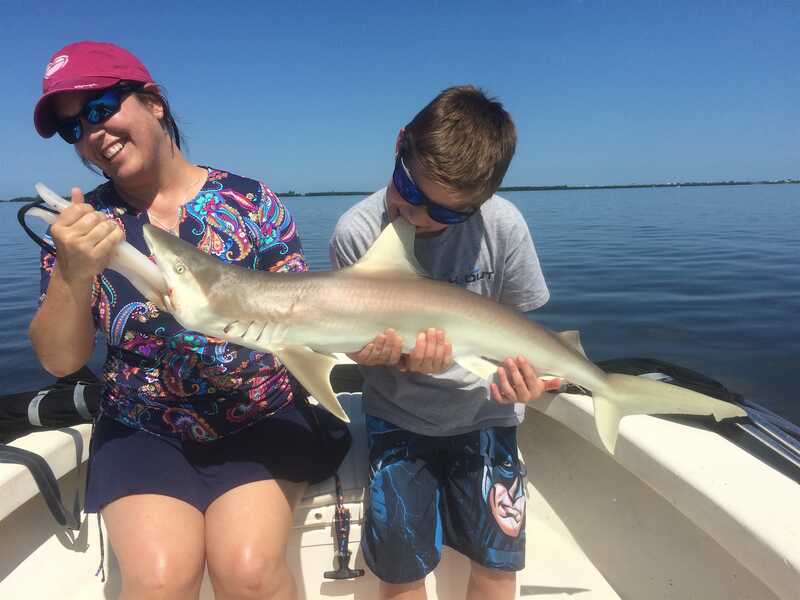 Sanibel Fishing & Captiva Fishing, Blacknose Shark! 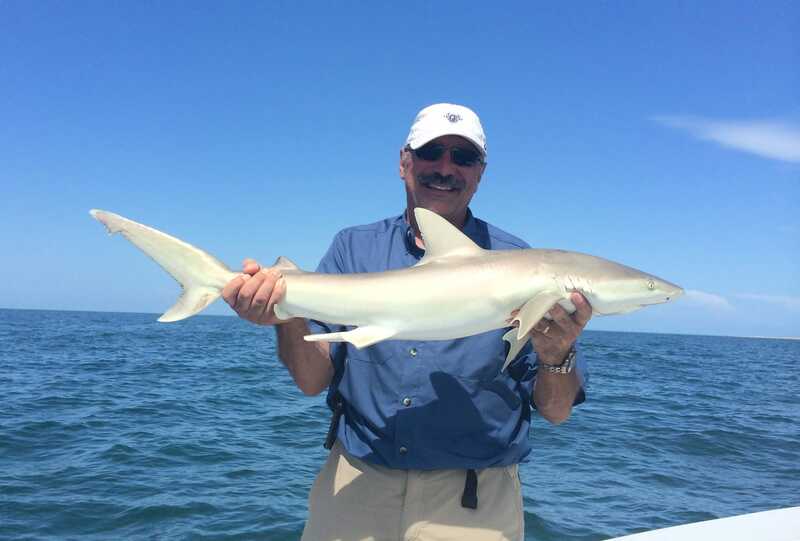 Sanibel Fishing & Captiva Fishing, Sanibel Island, Tuesday, April 11: Blacknose Sharks stealing the tarpon bait, catch & release; latest Red Tide Report; better water moving north of Sanibel up through Captiva & North Captiva. Please click here to Book A Charter or call 239-472-8658. “The blacknose shark has a slender, streamlined body with a long, rounded snout and large eyes. There is a well-developed flap of skin in front of each nostril, defining the inflow and outflow openings. Twelve to 13 and 11 to 12 tooth rows occur on either side of the upper and lower jaws, respectively, with one or two teeth at the symphysis (middle). The teeth are triangular and oblique, with serrated edges; the upper teeth are stouter than the lower teeth. The five pairs of gill slits are short, measuring less a third the length of the first dorsal fin base. between the dorsal fins. The pectoral fins are short and tapered. The body is covered with overlapping dermal denticles that bear five to seven longitudinal ridges (three in very young individuals) leading to three to five marginal teeth. The coloration is yellowish to greenish-gray or brown above and white to yellow below. A distinctive dark blotch at the tip of the snout is most obvious in young sharks. The tips of the second dorsal fin, upper caudal fin lobe, and sometimes the lower caudal fin lobe, are dark. 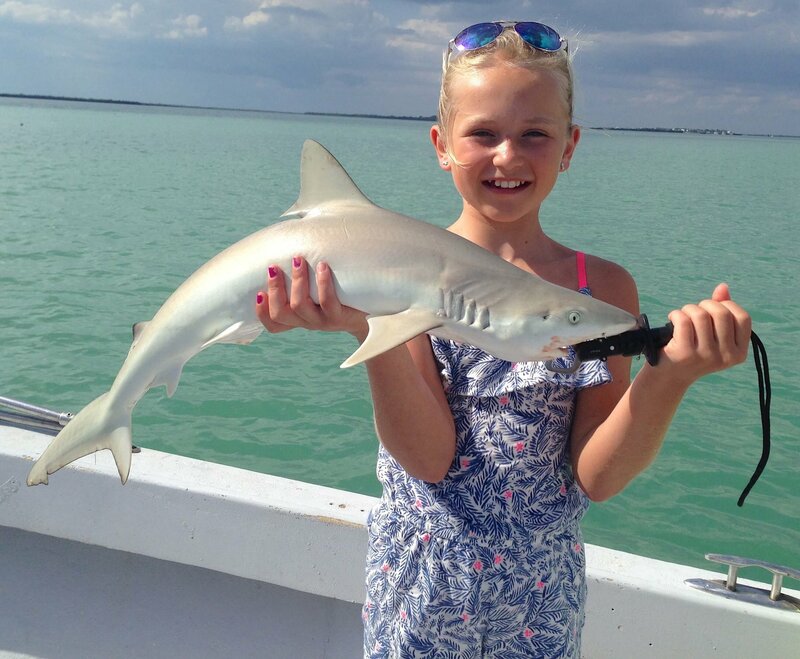 Blacknose sharks are typically 1.3–1.4 m (4.3–4.6 ft) long and 10 kg (22 lb) in weight. The maximum length and weight on record are 2.0 m (6.6 ft) and 18.9 kg (42 lb), respectively. 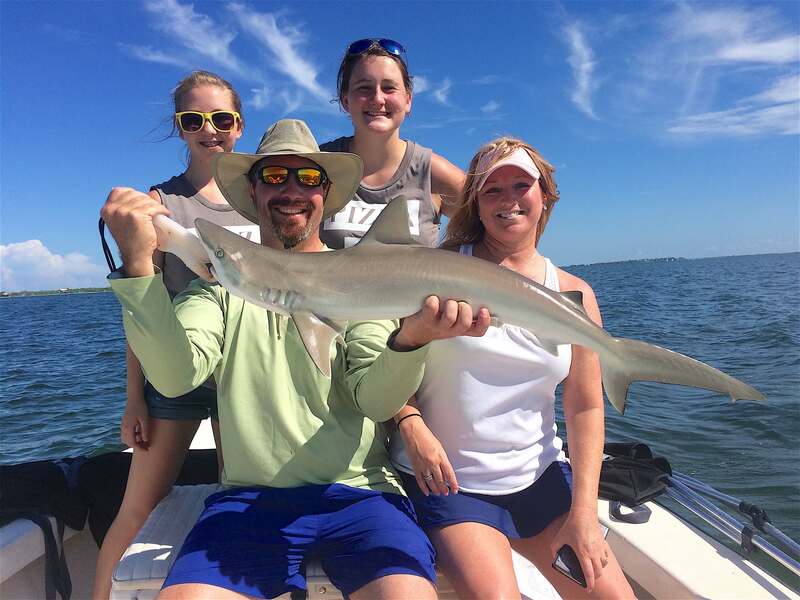 Blacknose Shark, 6-19-14, Sanibel & Captiva Islands & Fort Myers Charters & Fishing Guide Service. 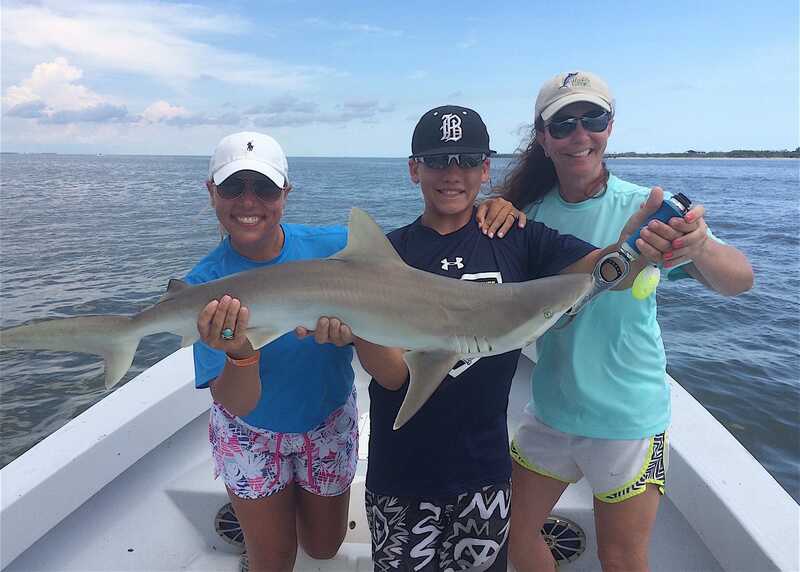 More Blacknose Sharks, Catch & Release, Sanibel Fishing & Captiva Fishing, Wednesday, June 29, 2016. Blacknose sharks are preyed upon by larger sharks, and captives have been observed to perform an apparent threat display towards encroaching divers or newly introduced members of their species. The display consists of the shark hunching its back, lowering its pectoral fins, gaping its jaws, and swimming with an exaggerated side-to-side motion.” More background here.